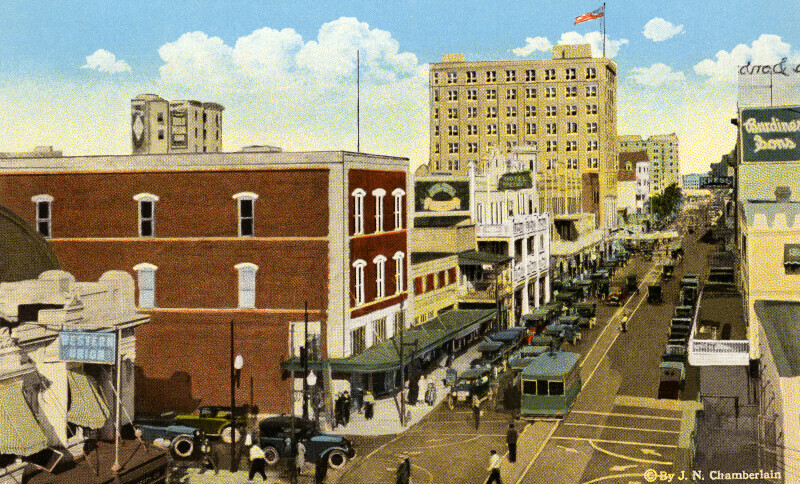 This scene shows Flagler Street, to the east of the viewer. The street is filled with pedestrians, automobiles, and a streetcar. In the intersection, the road surface has traffic flow indicators painted on it. The sidewalks are mostly covered by awnings, or balconies.